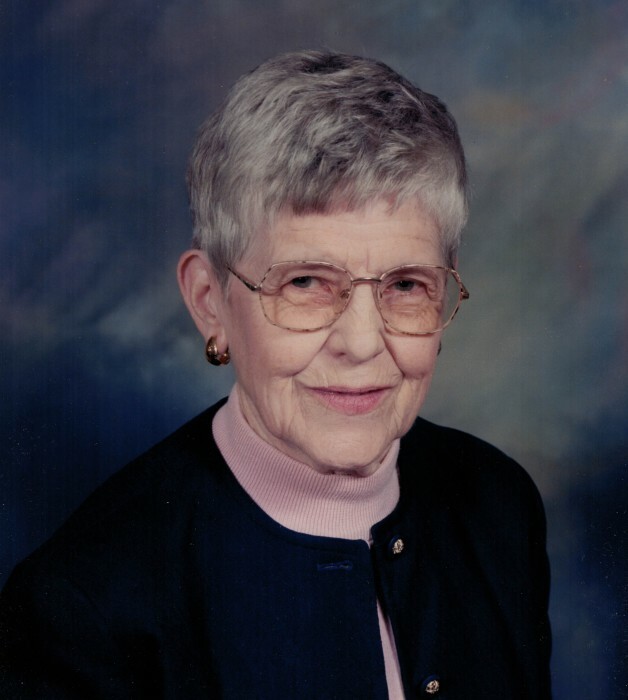 Nadine Elizabeth Meyer, 90, of St. Louis passed away Saturday September 1, 2018 at Laclede Groves Lutheran Convalescent Home in Webster Groves, MO. A graveside service for Nadine will be 10 A.M. Saturday September 15 at Walnut Grove Cemetery in Boonville will Pastor Matt Kettelson officiating. Arrangements under the direction of Howard Funeral Home. Nadine Elizabeth Meyer was born July 11, 1928, the daughter of Herman and Elsie Stumpf Meyer in Boonville, MO. She graduated from Boonville High School; earned a Bachelor of Science in Education from the University of Missouri-Columbia and a Master of Arts in Teaching from Webster University. Nadine taught kindergarten in the Affton Schools for 38 years, retiring in 1988. Nadine was preceded in death by her parents, sister, Alline Meyer and brother Earl Meyer.